A world in which all people are empowered to use their creativity and self-expression to better their lives and the lives of others. To promote empathy, transform lives, and inspire the world one song at a time. Musical Intervention works with clinical and community based organizations to provide the platform for individuals and groups to write, record, and perform original music. Our Headquarters helps us combine efforts with local social service organizations to improve the overall mental health of the community. 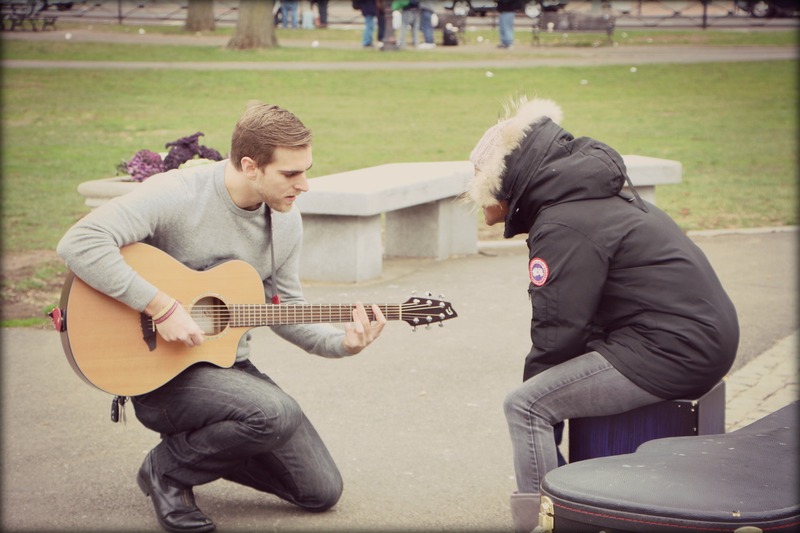 We believe that there is a song in everyone that can be explored to rediscover our humanity and potential. Our goal is to inspire and create quality music and contribute to the body of academic research knowledge in order to develop more effective strategies in promoting human welfare and dignity. Adam Christoferson is the founder and driving force of Musical Intervention. Adam grew up seeing the effects that trauma, drugs, and mental illness had on the closest people in his life. Weaving though foster care and special education, Adam discovered that the transformative power of music was his anchor and his calling. Musical Intervention began to take form during his work as a Recreation Therapist at Yale Child Psychiatric Inpatient Hospital. His work there was featured in the World Congress of Adolescence and Child Psychiatry, international symposiums, high schools and universities throughout Connecticut. In 2011, Adam began to work with other clinical and community based organizations, and so Musical Intervention Services was born. After receiving a grant though the National Endowment of the Arts in 2015, Adam began to work with the homeless population in New Haven, Connecticut. During this work, he saw the need to have a safe, drug and alcohol free space for the disenfranchised to be creative, productive and connect with the broader community. 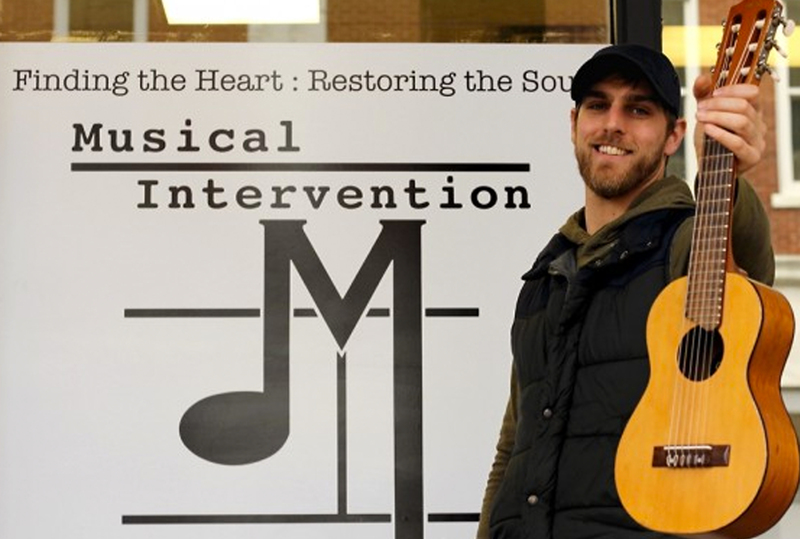 Adam then partnered with Project Storefronts and opened the doors to Musical Intervention Headquarters in April of 2016. MI Headquarters has since served thousands of people from all over the world.